These couple of weeks I am doing a fair amount of packing due to a three-week family holiday in Australia. Those travelling with young children will relate to the proverbial ‘kitchen sink’ being moved from continent to continent, as well as the hassle of negotiating various airport obstacle courses. It is hard to believe that not so long ago travel – especially air travel – was considered a luxury. In fact, some of the best-known luxury brands such as Louis Vuitton and Gucci started out as humble luggage makers. And while monogrammed trunks may not be to everyone’s taste or budget, here are some ideas for green-and-glam travel equipment. Canadian company Heys has launched Eco Orbis, a spinner suitcase made from 100% recycled plastic such as water bottles. Inspired by geometric and abstract works of art, the Eco Orbis is designed for the fashion-minded yet eco-conscious individual. 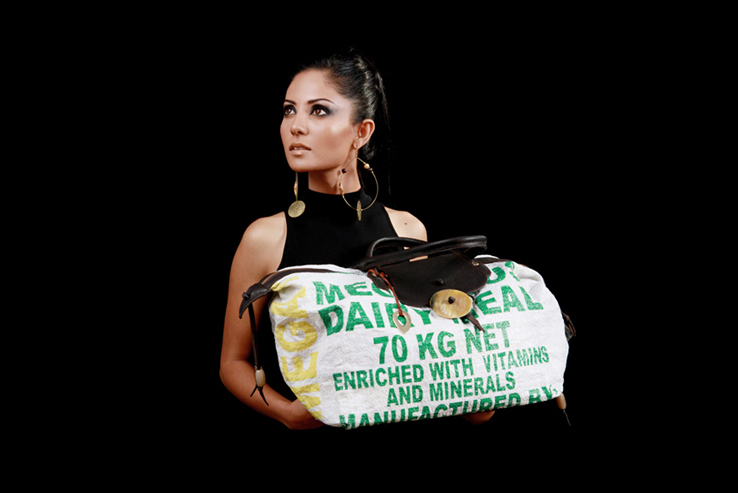 Creating luggage out of recycled materials saves resources and reduces the amount of waste going to landfill. Heys’ Eco Orbit Spinner Case made from recycled plastic bottles. 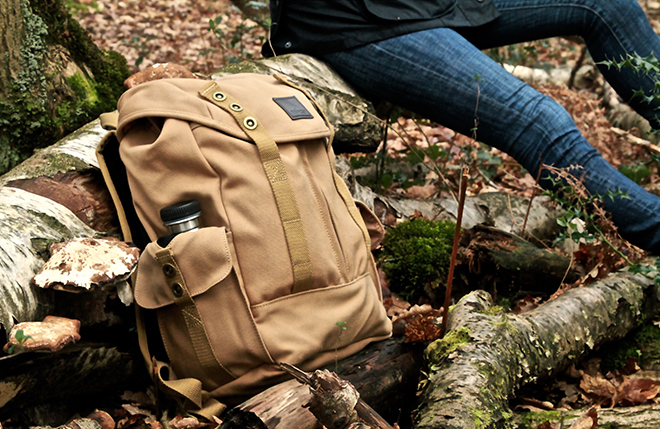 Inspired by maverick eco-adventurer Millican Dalton, the UK brand Home of Millican produces a wide range of organic canvas rucksacks, shoulder and overnight bags, and travel accessories. Each bag has a name – like the beautiful Matthew the Daypack featured below – as well as an inspiring traveller’s tale to share. Matthew stopping for a rest. Photo via Home of Millican blog. Nairobi-based Adèle Dejak uses the best traditional African-made fabrics and recycled materials, and provides employment for talented artisans in East Africa. And you can be the proud owner of a former rice sack turned into a luxury bag! Another favourite of mine is Sandstorm, a Kenyan company that used to specialise in luxury safari tents. Today Sandstorm uses the same skills and materials to build beautiful bags at its workshop in Karen, the historic ‘Out of Africa’ neighbourhood just outside Nairobi. During my three years in Kenya, I got a custom-made Sandstorm bag from cow hide sustainably sourced from Maasai communities living close to the majestic Serengeti National Park. Long weekender bag by Sandstorm Kenya. And of course no sustainable luggage list will be complete without Elvis & Kresse, a UK brand that has been reclaiming London Fire Brigade’s decommissioned fire-hose since 2005. By transforming old hose into fireman’s red and canary-yellow belts and bags, Elvis & Kresse gives these unique objects a new lease of life, rescuing the heroic materials otherwise destined for landfill. 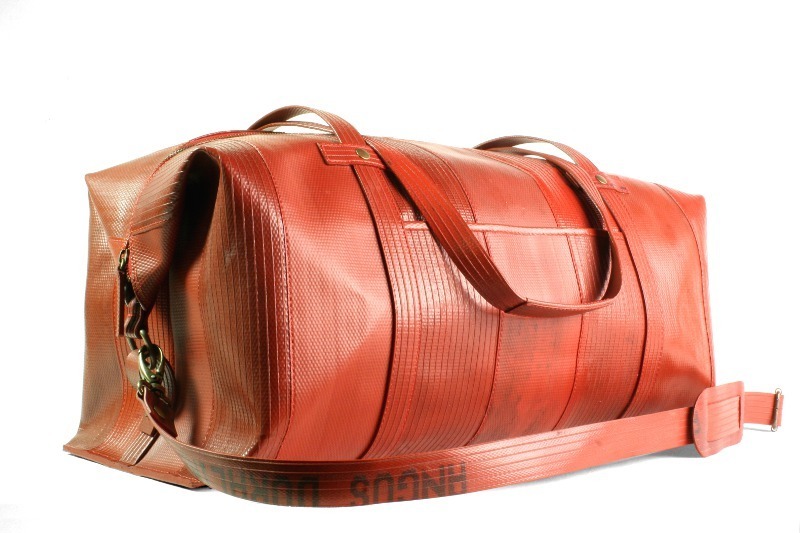 Elvis & Kresse’s weekender bag. To paraphrase the oft-cited quote, a journey of a thousand miles begins with the right piece of luggage!